According to Vanguard, In a desperate move to avert a nationwide strike by organised labour and its civil society allies over the N145 per litre new pump price of petrol, the Federal Government has invited labour leaders in the country for a meeting today. House of Representatives will also, today, hold a special plenary and take a position on the recent increase in price of petrol. 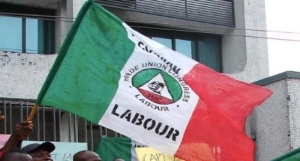 However, leaders of the Nigeria Labour Congress, NLC, their counterparts in Trade Union Congress of Nigeria, TUC, and civil society allies had on Saturday, given government up till midnight tomorrow to reverse the pump price to the pre-Wednesday, May 11 rate of N86.50 or face a nationwide strike and street protests. Vanguard gathered that the meeting will take place 10 am today at the office of the Secretary to the Government of the Federation. According to a source, the meeting will involve stakeholders, including leaders of NLC, TUC, Nigeria Union of Petroleum and Natural Gas Workers, NUPENG, and their Petroleum and Natural Gas Senior Staff Association of Nigeria, PENGASSAN counterpart. This came as NLC faction, led by Joe Ajaero, said it would today and tomorrow meet with civil society groups, market women, informal workers’ groups and other Nigerians to fine-tune strategies on how to shut critical sectors of the economy should government fail to meet its demands. He called on the Federal Government to reverse the N145 pump price hike and convoke a meeting of all relevant stakeholders before end of the Tuesday deadline to determine appropriate price of petrol or risk nationwide strike and mass action. Ajaero, contended that what the government had done was simply to hike price to get more money without considering its overall implications on the masses of the country who were already struggling to survive in the midst of high cost of living. Meanwhile, According to The Punch, Nigerians have started stockpiling food ahead of the ultimatum issued by the Nigeria Labour Congress and the coalition of the civil society organisations that petrol price be reverted to N86.50 or all workers would embark on a strike. Following this warning, a cross section of Nigerians in different parts of the country told SUNDAY PUNCH that they were getting prepared for the strike by buying enough food in their homes. Also, a human resources officer in a non-governmental organisation in Ibadan, Oyo State, Mr. Paul Sodeinde, said he was prepared for the strike. The story was the same as most of the people that spoke to our correspondents in Lagos said they had started making preparations for a long stay at home. A civil engineer, Shade Oguntuase, said she was going to do all her shopping on Sunday (today). A Lagos-based IT worker, Isaiah Adebisi, said he had not considered buying household items in bulk until he ran into a friend at a popular shopping mall in Lagos. According to Adebisi, the encounter made him realise the reality of the impending strike when his friend told him that there would be scarcity of basic consumer products. He said, “I had always felt that panic buying was a bad idea. I didn’t think much of the strike at first, especially because of my belief in this government. But seeing the way things are going, I am going to use this weekend to stock up on many items. An advertising agency employee, who also lives in Lagos with two family members, Uju-Amaka Ofili, said she would take the initiative and restock her home with household items. She said, “I can only imagine how bad things will get if I don’t act fast. I think it would be wise to buy as much foodstuffs in bulk as I can. To make matters worse, things are really expensive in the market. Lately, there has been an increase in the prices of foodstuffs nationwide. 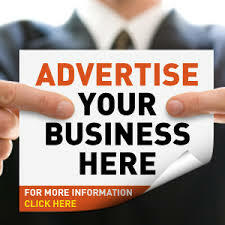 A businesswoman at Alade Market, Lagos, Mrs. Atinuke Joda, said she knew that labour was going to fight the new petrol price. “Immediately the price of fuel was increased, I knew labour would resist. After church on Sunday, I will buy enough foodstuffs,” she said. A civil servant in Port Harcourt, Mrs. Sandra Dumebi, said she was glad the NLC gave sufficient warning. “I always do my shopping at weekends. Thankfully, the NLC has warned us ahead of time. So I will be buying more foodstuffs this time around,” she said. Similarly, a school administrator in Magboro, Ogun State, Ms Evelyn Okorodudu, said, “I am moving fast on Sunday to get a few things to add to the ones I already have at home.